When will be Thieftakers next episode air date? Is Thieftakers renewed or cancelled? Where to countdown Thieftakers air dates? Is Thieftakers worth watching? 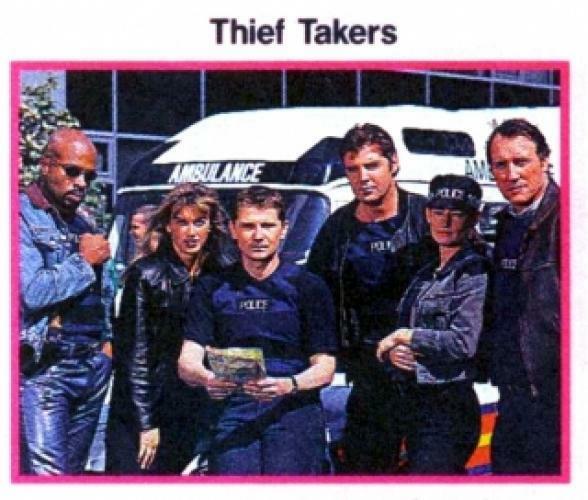 'The Thief Takers' power back onto the streets of London in this top-rating police series, with more action-packed stories about life in the fast lane of the met's prized Armed Robbery Squad. The tough and street-wise band of elite officers find themselves undercover in the terrifying world of crack cocaine, terrorists, prostitution and Mafia bodies. They face some of the underworld's toughest and most ruthless villains and the risks are always high, but the excitement and sheer adrenaline of their work drives them on and makes them more determined to catch those thieves. Highly spectacular car chases, shoot-outs, armed raids and explosions, backed up by expert stunts and special effects, make for viewing that will keep you on the edge of your seat. EpisoDate.com is your TV show guide to Countdown Thieftakers Episode Air Dates and to stay in touch with Thieftakers next episode Air Date and your others favorite TV Shows. Add the shows you like to a "Watchlist" and let the site take it from there.